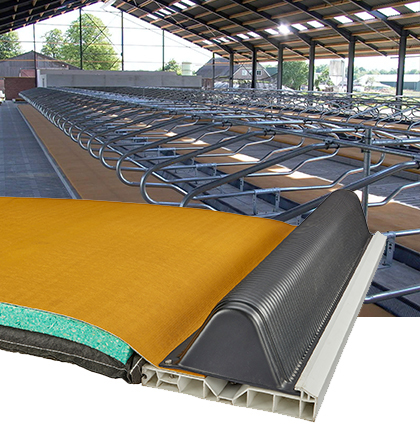 Founded in 1991, Promat supplies its cow mattress solutions to over 46 countries around the world and it is estimated that over 3 million dairy cows are resting comfortably on Promat’s products. Promat also uses its expertise and knowledge in cow comfort and ergonomics to help developing dairy nations ensure that their cows are receiving the highest possible level of comfort. As an Original Equipment Manufacturer (“OEM”), Promat is proud that it is one of the largest consumers in Canada of re-cycled automobile tire rubber which is ground into rubber crumb to be used to fill the base level of two of Promat’s premier products, Pasture Mat and Pack Mat. Promat’s dedicated ‘Cow Comfort Specialists’ travel the world conducting seminars and educating dairy producers on the importance of stall design and ways to enhance cow comfort. 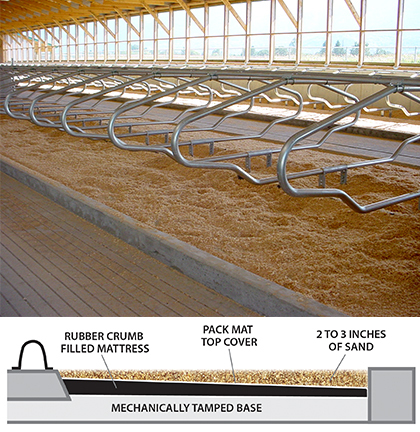 Whether it’s new barn construction or modifications to an existing facility, they can assist you in determining the right solution to ensure a system that improves support and reduces maintenance time. Promat’s primary focus is on maximizing herd health. If a cow is housed in an environment that allows her to behave and act naturally, her overall welfare will improve and she will produce more milk. 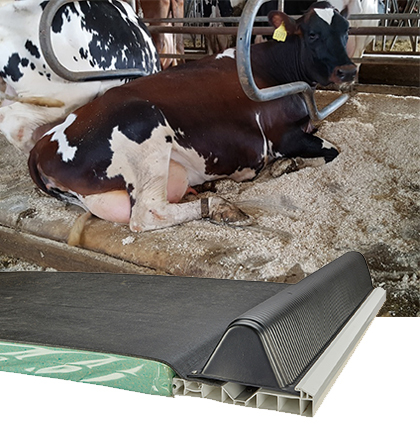 Promat’s mattress solutions offer a lying surface that facilitates natural movement by the cow, allowing her get up and down easily while providing optimal comfort while lying down. The result is an overall increase in lying time, improved rumination and ultimately more milk. A selection of product photos from Promat Inc.